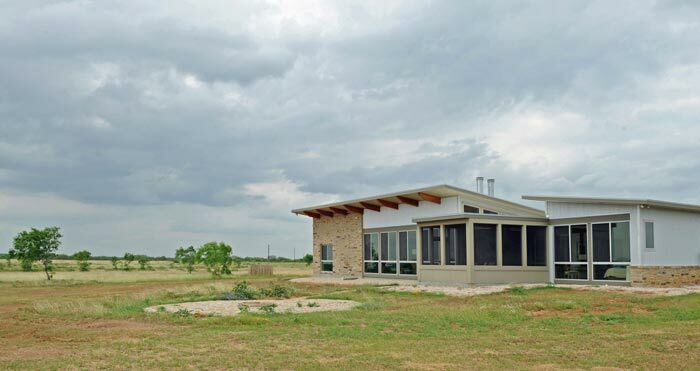 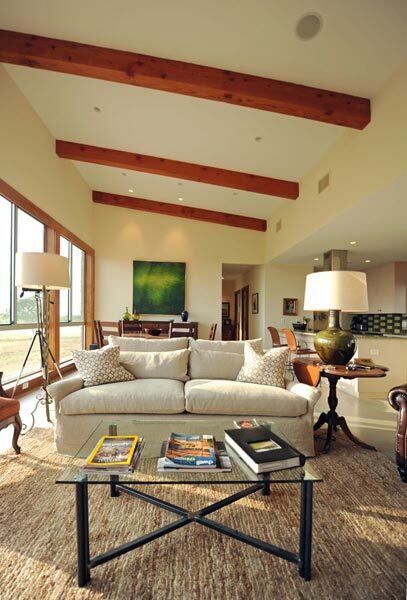 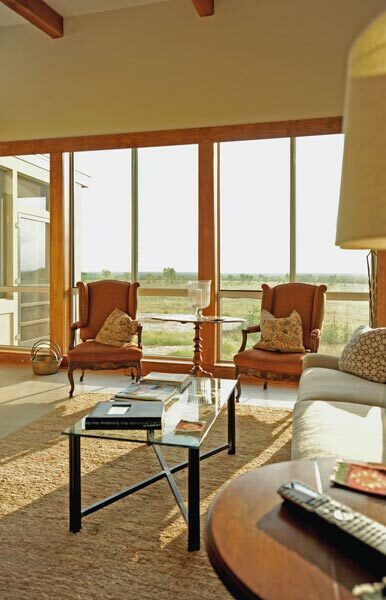 Planned as a weekend retreat on a substantial South Texas property, the Pleasanton Ranch needed to be an assortment of versatile spaces to entertain and accommodate up to six overnight guests. 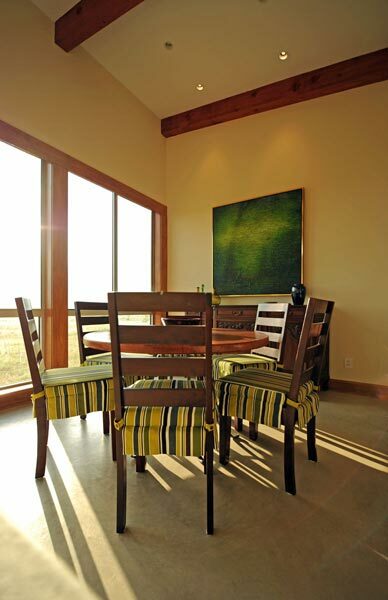 The house needed to take advantage of the site’s desirable views and solar orientation. 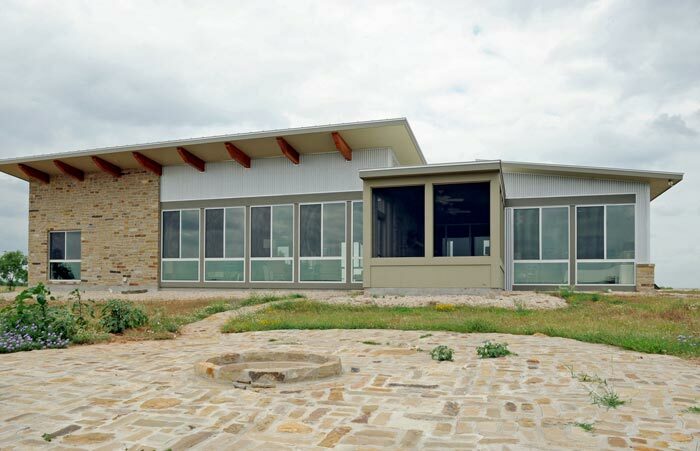 Finally, it needed to be constructed of durable, low-maintenance materials that could weather the harsh elements and withstand the abundant and destructive wildlife.The new residence consists of a central core of common spaces that open to each other for ease of gathering and entertaining with panoramic views to the fields. 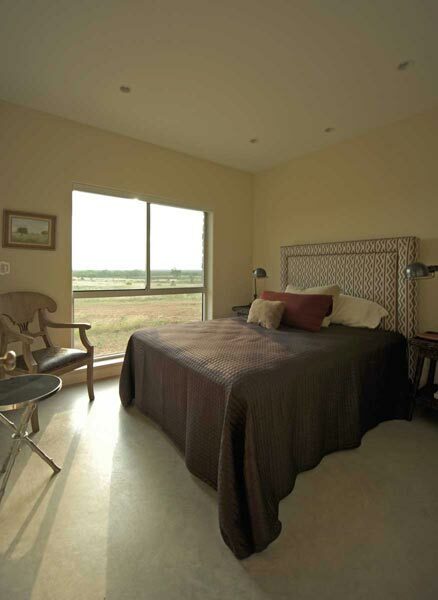 Two guest bedrooms are separated from the master bedroom for privacy and for ease of zoning. 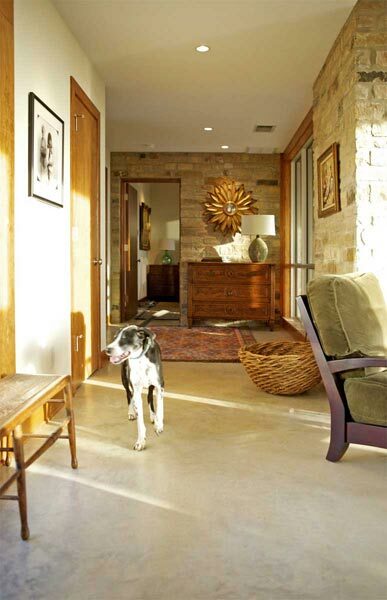 Most of the service spaces are located along the main axis of the house on the entry side to provide privacy from the entrance to the living areas. 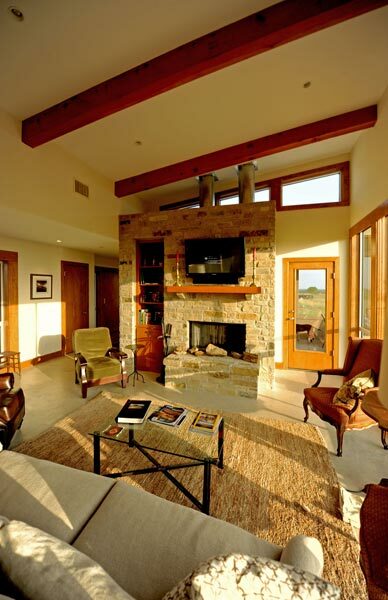 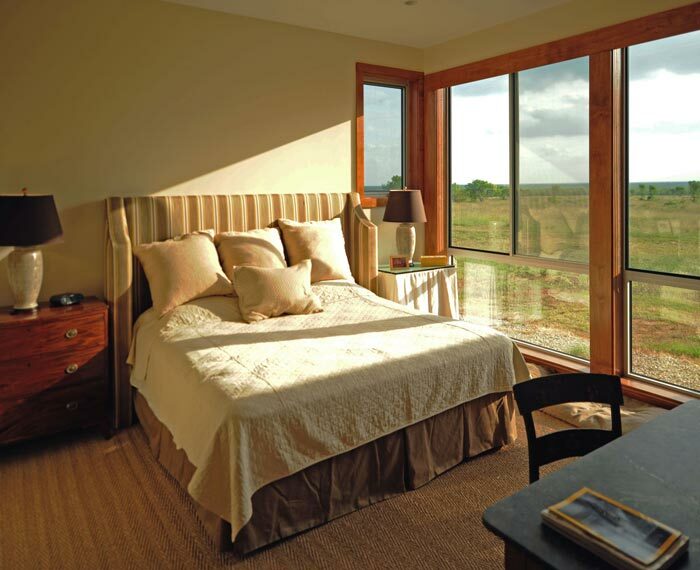 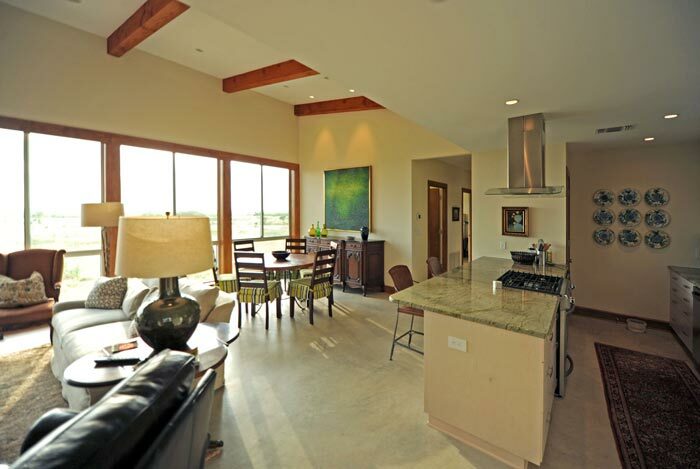 The house is sited near the highest elevation to take advantage of views, breezes, and abundant natural light. 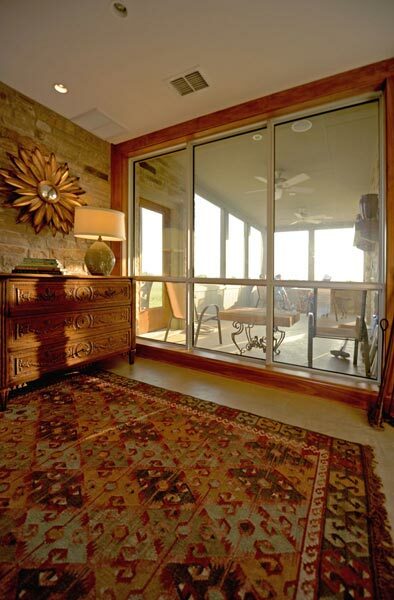 An attached screened porch is strategically placed to receive the south-easterly breezes in the summer, while the house blocks the northern winds in the winter to allow for year-round enjoyment. 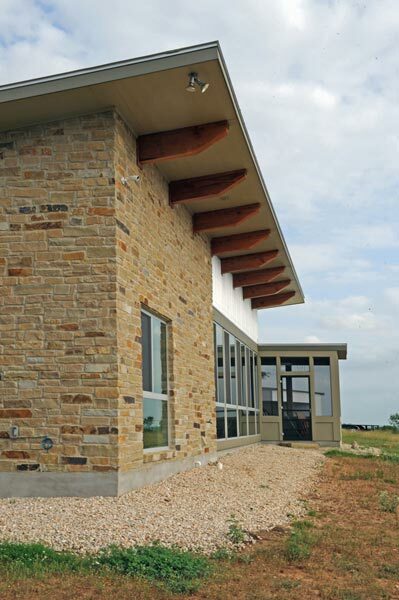 Deep roof overhangs along the southwest side help block the direct afternoon sun and heat gain from the large windows in the common areas without diminishing the natural light and views. 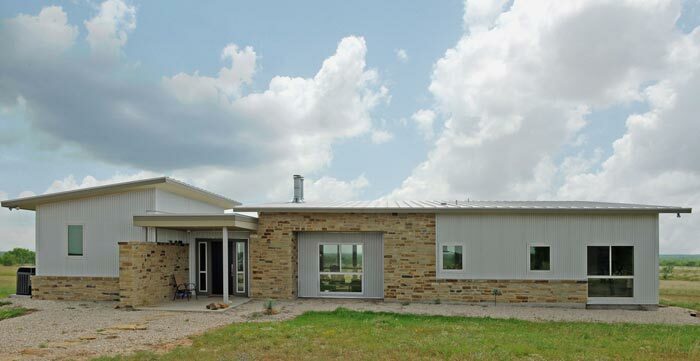 Durable exterior material choices of natural stone and corrugated metal panels are juxtaposed to provide visual cues to the spaces within and enhance the overall aesthetic of this modern ranch house.